Chasing Chris Forsberg at the Bank during practice runs, slowed down the car a lot before transitioning into the infield. 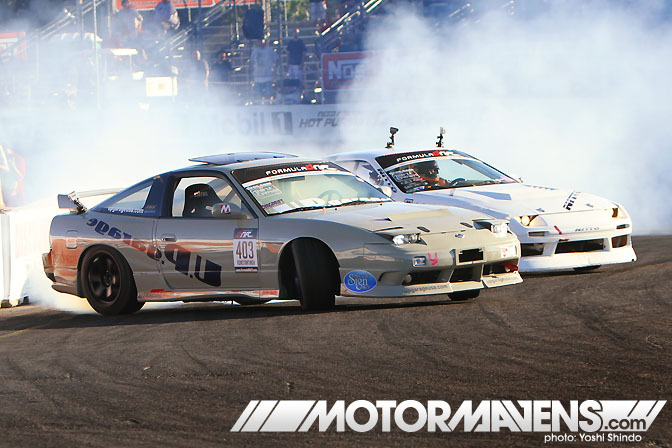 This is one of my favorite pics of FD Seattle. 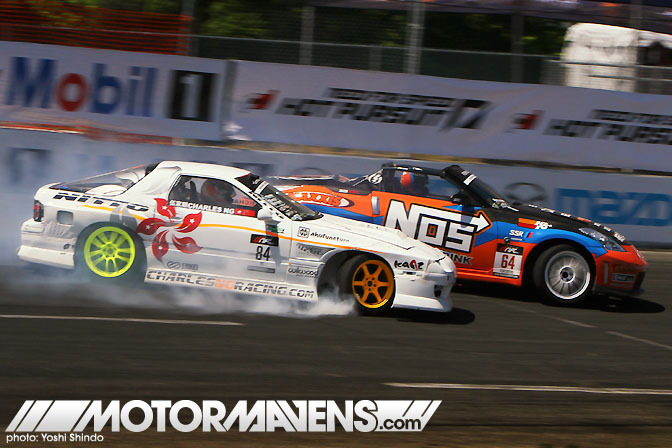 Top 16 Battle with Nikolay, as you can see, I don't like to leave space for tandem, haha!